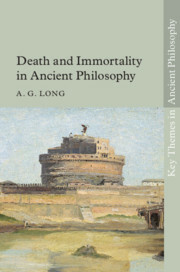 Each book in this new series offers a concise and accessible treatment by a single author of a topic of major philosophical importance in the ancient Greek and Roman world. The emphasis is on a discussion of those debates of real philosophical interest, placed within their historical context. Future volumes will consider topics such as virtue, knowledge, psychology, cosmology, society, love and friendship, cause and explanation, and persuasion and argument. The books are designed for use in a teaching context, where they will bridge a gap between general introductions to individual philosophers or periods and specialist monographs. They will also appeal to anyone interested in the enduring influence and significance of ancient philosophy.